The cast of Dilwale including Shahrukh Khan, Kajol, Varun Dhawan and Farah Khan enjoyed a bliss full evening with the tenis super star Sania Mirza at Hyderabad on Tuesday. 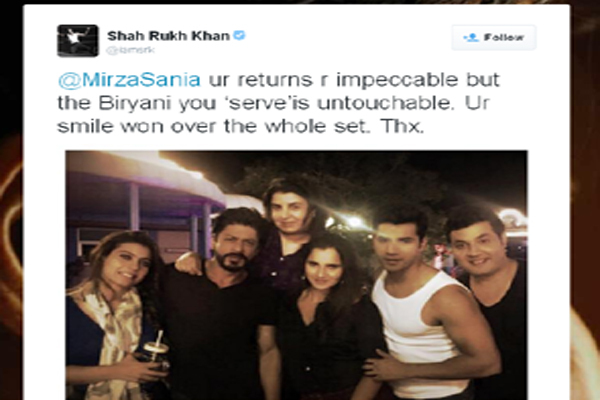 Shah Rukh shared picture of the evening on Twitter and added she brought biryani for everyone. He also posted a picture of himself with Sania, Kajol, friend Farah Khan, Varun and actor Varun Sharma.